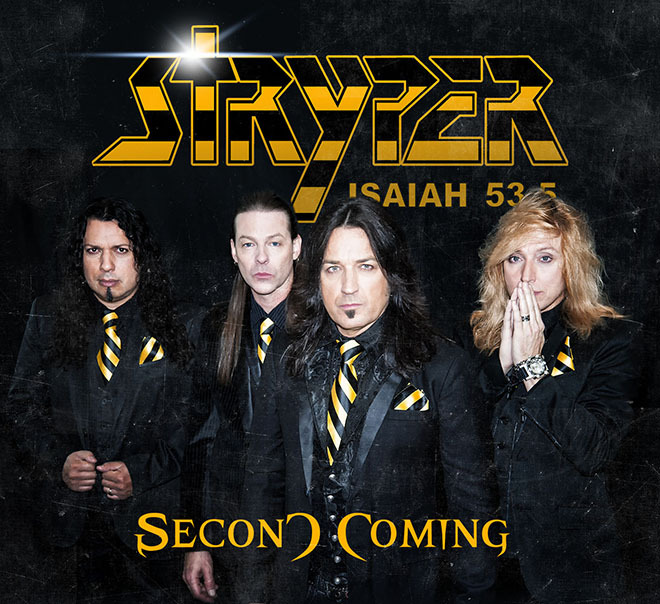 On Second Coming, Stryper reunites the original ’80’s band line-up of Michael Sweet (lead vocals, guitar), Oz Fox (guitar), Tim Gaines (bass guitar), and Robert Sweet (drums). While the albums Reborn and Murder by Pride gave a more updated metal sound, the two new tracks found on Second Coming are reminiscent of the early days of Stryper and mesh with the classics. “Bleeding From The Inside Out” has already been sent to radio. Unquestionably it is “radio friendly” with an approachable metal vibe that even the non-metal masses will catchy. It’s “Blackened” that has grabbed my attention with it’s a rawer, harder edge. Check out the teaser video for Second Coming below.